A Galveston County man is suing after sustaining injuries while working at a Texas City facility, according to The Southeast Texas Record. The worker filed a lawsuit on February 27 against Marathon Petroleum Co. LP, citing negligence and gross negligence. According to the lawsuit, the man was working for Wyatt Field Services at Marathon’s Texas City refinery when the accident occurred. While de-isolating a flare line, an explosion erupted, severely burning the worker. The victim remains in critical care at the Blocker Burn Unit at the University of Texas Medical Branch in Galveston. The worker is seeking an undisclosed amount in damages in the lawsuit. 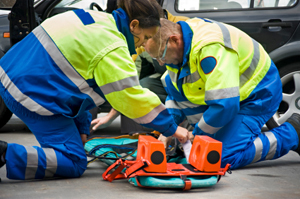 If you have been seriously injured at work, contact our Austin workers comp attorneys today. We work on a contingency fee basis, meaning that we collect no attorney fees unless you receive compensation. Are Your Children Safe At Day Care Centers? How Much Blast Can An Average Soldier Endure?